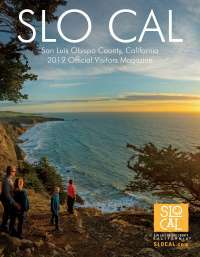 Located in the coveted Park Hill area of Cambria, with breathtaking ocean views from every room in the home. This tri-level vacation rental home allows you to embrace your surroundings, with its natural wood interior matched with the stunning pine trees that surround it. 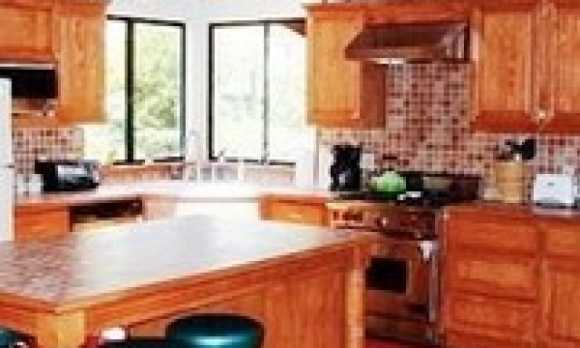 Upstairs you will find the newly remodeled, fully equipped kitchen that includes a Wolf stove and Kitchen Aid appliances. The home's kitchen opens towards the dining area and the vibrant living room, all of which have brilliant views of the ocean and ranch land. A few stairs down from the living room you will find the Master Suite, which includes a full bath plus a sitting area. 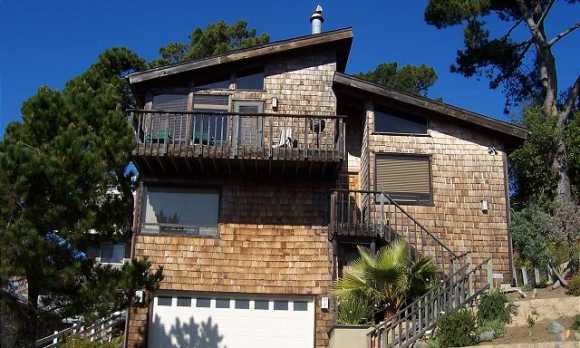 Downstairs are the other two bedrooms with their magnificent ocean views and the second bath. 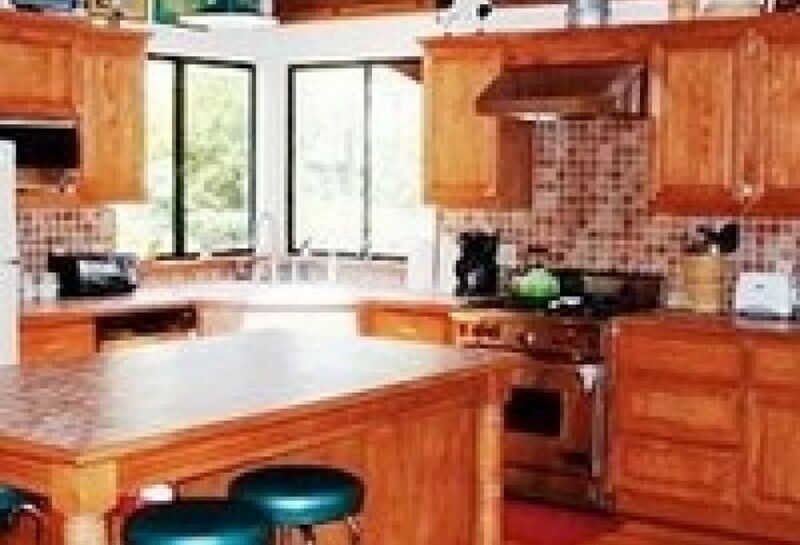 This home is located a short distance to the beautiful Moonstone Beach and Shamel Park. No smoking, no pets. 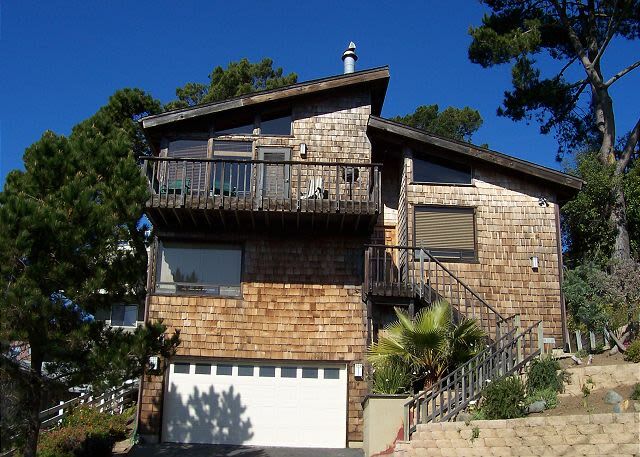 For more information about renting this tri-level vacation home in Cambria, please contact Coastal Escapes.